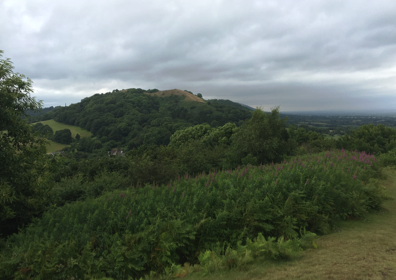 This was the second part of a walk we first started on the 27th May 2013 and resulted in us finishing the complete Malvern hills and in the process finally finishing our 1000 long distance mile. 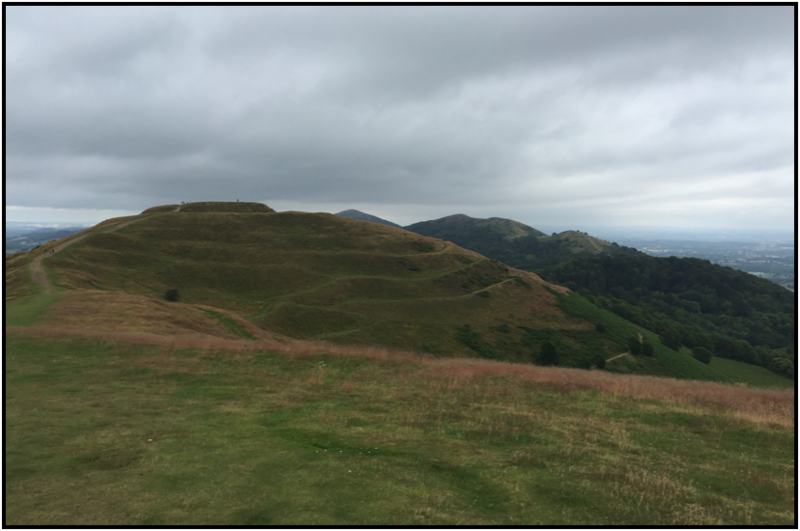 The malvern hills consist of some 22 hills and span three counties and whilst we have not climbed every one we have walked from North to South along the ridge. The highest point of Malvern Hills is the Worcestershire Beacon standing at 425m, luckily this had been climbed last time and the hills are a little bit easier this journey. The start point of the walk is a small car park located near to British camp offering parking at £4 for the day also nearby are some toilets and a nice pub called the Malvern Hills Hotel. The route starts near to the car park and then heads for the top of British camp at 338 metres and a steep slope to get there, it used to be a Bronze age hill fort and dates back to 2nd century BC, a lot of archaeological finds have been made in the area and you will easily see the ditches and earthworks to this day. Our 1000mile was reached at the top of Chase end hill and with the weather on our side we had a picnic and then slowly walked back on the west flank of British camp. A hard walk this one but well worth it on a nice day, we would recommend. The ditch and counterscarp bank around the entire site covers three hills, although those to north and south are little more than spurs. With a perimeter of 6,800 feet (2,100 m), the defences enclose an area of around 44 acres (18 ha). The first earthworks were around the base of the central hill otherwise known as the citadel. At least four pre-historic phases of building have so far been identified. Original gates appear to have existed to east, west and north-east.